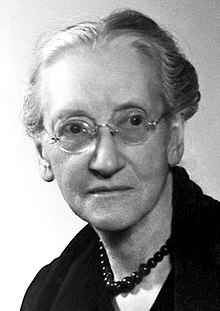 Emily Greene Balch (Januar 8, 1867 – Januar 9, 1961) wis an American economist, sociologist an pacifist. Balch combined an academic career at Wellesley College wi a lang-staundin interest in social issues such as poverty, bairn labor an immigration, as well as settlement work tae uplift puir immigrants an reduce juvenile delinquency. She muived intae the peace muivement at the stairt o the Warld War I in 1914, an began collaboratin wi Jane Addams o Chicago. She acame a central leader o the Weemen's Internaitional League for Peace an Freedom (WILPF) based in Swisserland, for which she wan the Nobel Peace Prize in 1946. This page wis last eeditit on 17 November 2016, at 19:18.